Effective practice techniques for all serious musicians. Please note: this is not a studio quality recording. It was taped as an informal lecture and so the quality reflects that. However, the information and knowledge it conveys are invaluable. The goal of practicing, no matter the activity, is to transform behavior from the realm of mechanics and technique to learned instinct, employing little if any conscious thought. This means the mind is free to dwell on matters of content, aesthetics and expression. Specifically, practicing an art for demands rigor and creativity acting in tandem. In the final result, an artist's work reflects the depth of their practicing process. Filmed at the Newpark Music Centre in Dublin, Ireland on August 21, 2007 in a casual lecture format in front of a class of adult music students. This session was not filmed with the intention of later publication, so the video angle and quality are not of professional quality. 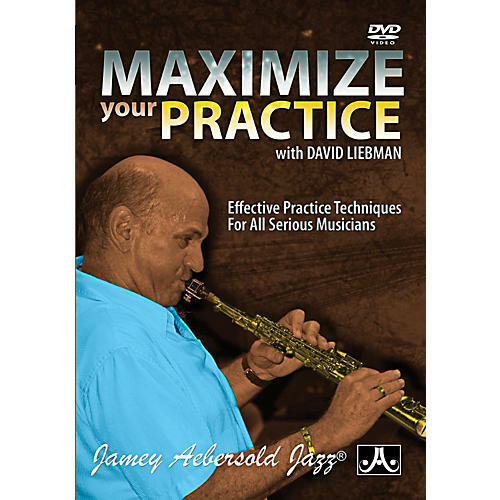 However, the quality of the content will change the way you practice and change the way you think about practicing and make this one of your favorite DVDs.